We are one of the leading manufacturer and supplier of knitted wire mesh.We obligated to meet the quality standards as per the customer demand. We are one of the leading manufacturers, supplier, exporters and stockist of Compressed Knitted Mesh in Mumbai, India. We are one of the leading manufacturers and supplier of compressed knitted mesh. 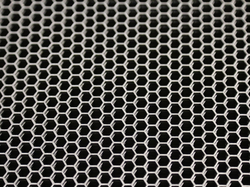 Compressed knitted mesh can be produced into various forms like cylindrical, round disc, ring, oval, rectangle, bottle-shaped, etc. Used as air and liquid filtration materials. It has a high resistance to corrosion and temperature resistance. We are one of the leading manufacturers, supplier, exporters and stockist of Ginning Knitted Mesh in Mumbai, India. We are one of the leading manufacturers and supplier of compressed knitted mesh. Ginning knitted mesh is ginned by the special technology so as to roll into a variety of corrugated shape by machine with gears. We are one of the leading manufacturers, supplier, exporters and stockist of Knitted Roll Wire Mesh in Mumbai, India. 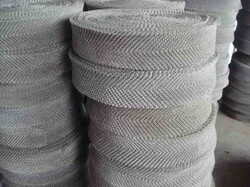 Knitted Roll Wire Mesh is normally specified by the number of stitches per cm. Our range of knitted meshes is considerable, but for practical purposes there are typically, 0.5 stitches per cm to 6 stitches per cm. However these types can cover a wide range of products. By using various filament diameters and mesh sizes, along with different crimping, calendaring, folding, layering and rolling, the choice is almost unlimited. Looking for Knitted Wire Mesh ?